Speaking of road trips, here comes a pleasant surprise. Meghalaya, the abode of clouds in an easy but interesting option for beginners. This 53-km road trip amidst the lush green mountains is a joyous ride. 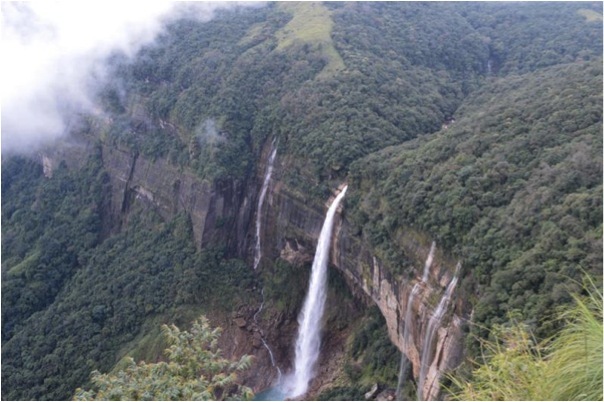 The trail starts from the capital city, Shillong and reaches the wettest place on earth, Cherrapunji all the while meandering through the hilly roads. 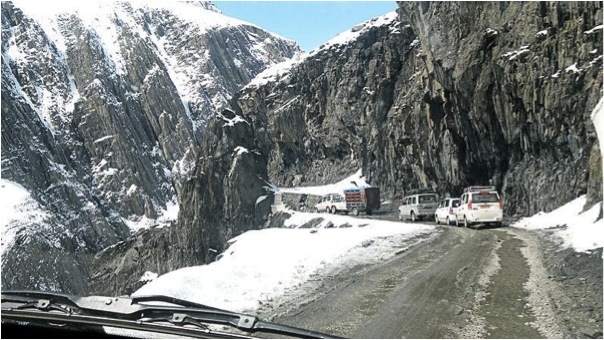 An article on road trips simply can't miss out the most promising road trips of all - the Manali-Leh highway. This trip is the talk of the town. It is the mother of all road trips. The kind that we see in movies and include in our bucket list. In one word, it is synonymous to the famous "Goa Trip". 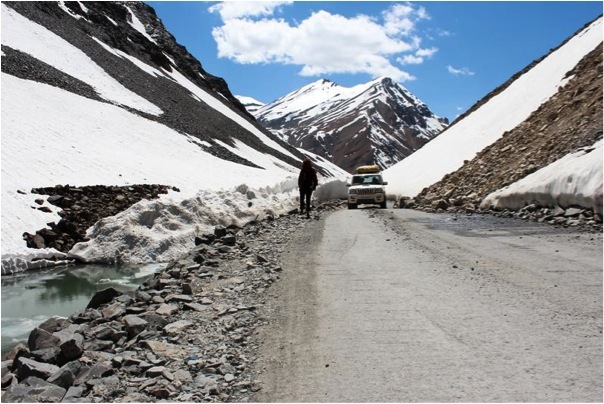 This winding trail starts from Manali and travels for 479-km and ultimately culminates at Leh. It is best for bike tours. The whole trip takes about 2 days and occurs at height of 3 to 4 km above sea level. Hence, the level of difficulty while travelling. The road is open in summer till mid-October. During winter, it remains closed due to heavy snowfall. Heading towards the southern peninsula, the southern part of the land isn't far behind when it comes to road trips. Andhra Pradesh takes a lead here. 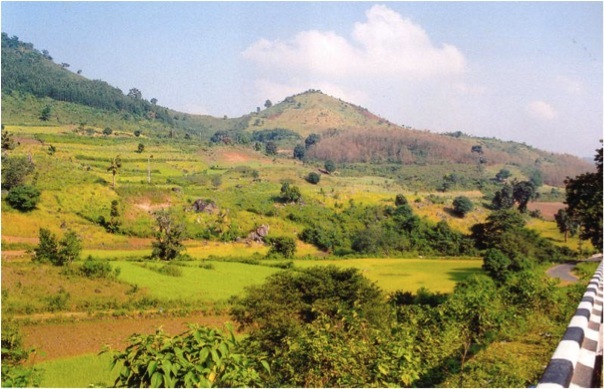 The 116 -km long Vizag to Araku Valley trail is a bewitching sight. The winding roads climbing the elevated land amidst the cool breeze coming from hilly trees. On the way, one gets to uncover the mystery of Borra Caves. March and October are the ideal time for a trip down this road. One of the most surreal trips of your lifetime is this road trip. 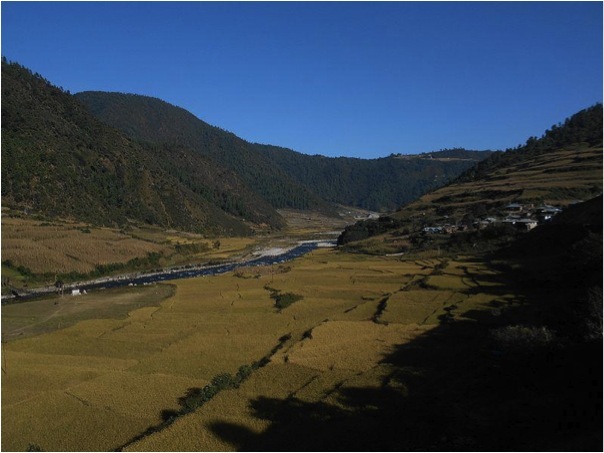 A tiring 9-hour route starting from Guwahati in Assam and ending at Tawang in Arunachal Pradesh. The 480-km trail spans 4 different states - Assam, Meghalaya, Manipur and Arunachal Pradesh. It takes you through the Kaziranga in Assam, Cherapunji in Meghalaya, Imphal in Manipur finally culminating at Tawang in Arunachal Pradesh. It is the ultimate gateway for discovering the north-east. Dirang and Tezpur acts as stopping points. The changing terrain and its beauty is best witnessed in March. Enough of mountains and hilly roads, let's look for some vibrancy and rigour - wildlife and, flora and fauna. How about a road trip to the forest? Yes! We are just taking you on that route. 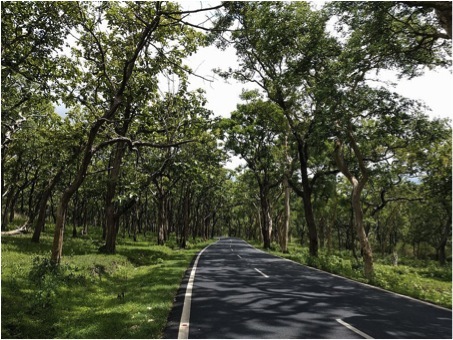 The 235-km forest trail starts from Bangalore and ends in the Bandipur National Park. Here one gets a glimpse of nature, a sight of animals and the chance to speak with the trees. One can extend the trip to Ooty on your list and you get a win-win situation. Ooty is mostly famous for Tea Gardens, Avalanche Lake, Pykara River and Ooty Lake. Forest and hills done, now head to the seas. How about a beach trip? A cool pleasant drive along the coastline - that too the longest coastline of India, south-eastern coastline. 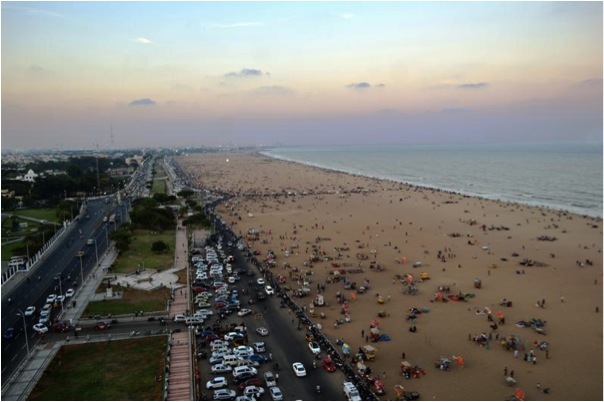 This short cosy trips starts from Chennai and ends at Pondicherry covering a distance of 153 km. The cool breeze from the sea and tranquil atmosphere has a calming effect on the soul. Trying out different roadside places can offer exciting opportunities. Himachal is a land of road trips. It is the junction point of many such road trips. The Shimla to Manali road trip through the Spiti Valley is one hell of an experience. The 300-km trail starts from Shimla and accents height step by step in 3 to 4 days. 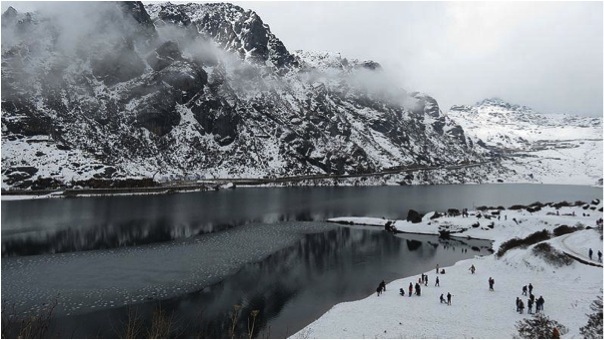 By this time, it covers the most beautiful landscapes of Himachal - Naco Lake, Sangla Valley, Kaza, Rohtang Pass Kinaur and then ending in Manali. This stretch is the best road trip experience for all. We are now closing the chapter, with the shimmering silver land - the white sand desert of Kutch. Take the exciting but uneven route from Ahmedabad to Kutch. The 400-km road starts from the Sabarmati Ashram in Ahmedabad and ends at the Kutch desert. An interesting tale of 11 hours, this road trip is one that remains etched in the memory. 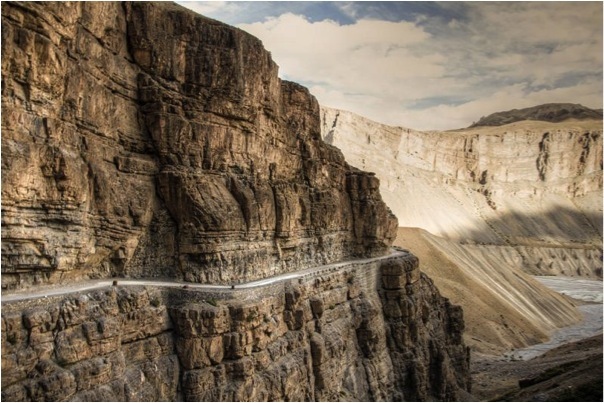 These are the best road trips of India cutting across various topographies. To know more of these road trips, feel free to check here. Now, what are you waiting for? Pack your bags and hit the road! Rohit is a compulsive traveller and an impulse road tripper. He loves the journey more than the destination. Here is one traveller who is always on the road. Rohit follows the trails of Indian history while exploring the fascinating landscapes, hills and other tourist hotspots of India. Many of his experiences are documented in Trans India Travels.